On July 1, 2018 EVO replaced Xsan as our media collaboration platform. 2. 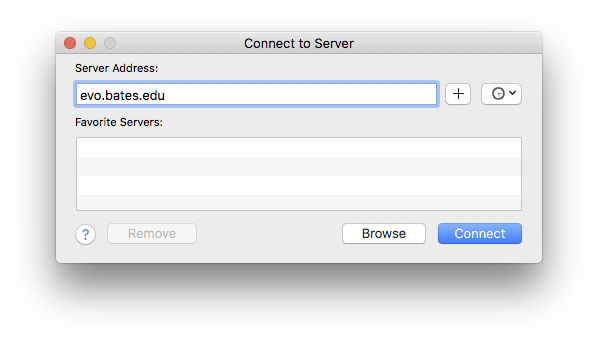 In the dialog box, enter evo.bates.edu and click enter. 4. You will see a list of volumes to which you have access (most users will only have access to their own volume). 5. Select your volume and click okay. 6. Your volume will mount on the desktop. Double click to open and use just as you did with Xsan. Remember to always save to EVO or a personal hard drive. NEVER save to the local machine. 1. 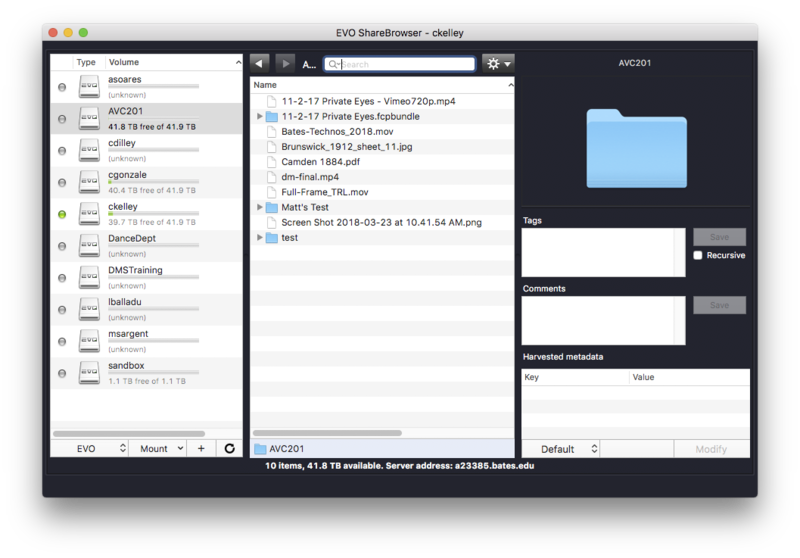 Find the EVO ShareBrowser app on your dock or in your applications folder. 3. Select the volume you wish to access, right click and select “Mount”. – You may lock files you are using to prevent accidental opening by colleagues (especially helpful for Premiere Pro project files). – You can preview, add comments and/or tags to files. 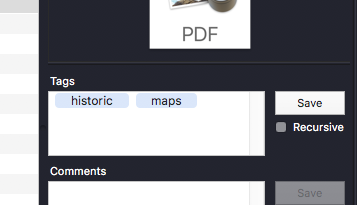 Any tags or comments are carried into the FCPX or Premiere project you are working on.